In the late 1980s, Parker was building a career as a consultant in organizational development and structural design when a headhunter came calling to recruit her for a “large entertainment company in Central Florida.” A native Floridian, she knew what that meant. Parker joined Disney in 1988, tasked with leading training programs that shared with corporate leaders Disney’s secrets to success for people management and guest services—which ultimately laid the groundwork for the creation of the company’s Disney Institute. Two years later, she was asked to develop a global-leadership program. Before she knew it, Parker had spent 20 years in the company’s theme parks and resorts unit, holding titles such as director and vice president of organization improvement and head of HR for the division. In 2009, she was given her biggest assignment yet: executive vice president and Chief HR Officer for the entire Walt Disney Co. 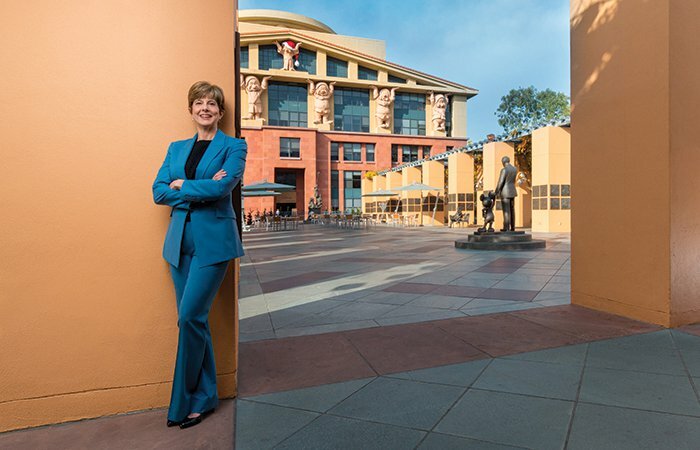 The internal mobility and deep alignment with the company values that Parker herself experienced are among the priorities Disney has for its entire 200,000-strong employee population, a workforce that has seen tremendous changes in recent years. With a new CEO in the forecast a few years down the line and the company about to complete its largest acquisition to date, the pace of transformation doesn’t appear to be letting up. “This is a place where our HR leaders are getting to do work in the next few years that is truly once-in-a-lifetime,” says Parker. With a new CEO in the forecast a few years down the line and the company about to complete its largest acquisition to date, the pace of transformation doesn’t appear to be letting up. How Disney’s HR team tackles future change is largely predicated on an internal change that was ushered in just over five years ago. Prior to that time, HR operations were segmented by Disney’s business units—a format that often led to overlap. For instance, HR representatives from the theme-park division would be at the same MBA-recruiting event as HR professionals from other Disney units, like Walt Disney Studios and ESPN. In 2013, Disney launched its Centers of Excellence, covering seven HR focuses, ranging from talent acquisition to diversity. In what became known as the AND Model, each head of HR would maintain his or her position while also taking the helm of a Center of Excellence. Since her background included time as a head of HR for a business unit, Parker says, she had the unique perspective of being able to understand the individualized HR needs of the units. The day-to-day of overseeing the 100,000-plus mostly frontline and largely unionized workers in the theme parks and resorts, for instance, differed drastically from the HR needs of the company’s studio division. However, commonalities also existed, and leadership had to carefully consider both during the centralization. Talent acquisition is one area that has seen significant impacts from the shift. 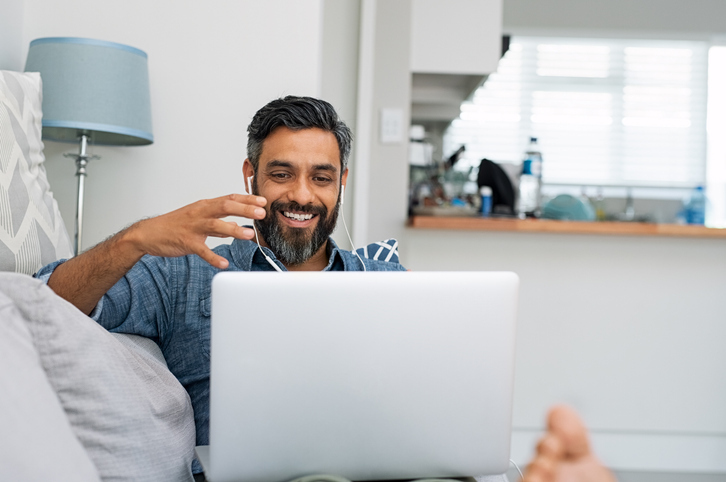 The talent-acquisition center offers recruiting support across all divisions, while a single technology platform was designed to facilitate online applications companywide—demonstrating brand continuity and showing candidates the opportunities for internal mobility, while streamlining processes internally. Being able to continuously evolve has been key—Parker notes there have barely been six months without a change to at least one of the centers. More than five years removed from the centralization, she adds, heads of HR at the business units are more often suggesting things they think can be done commonly, bringing more into the fold of the Centers of Excellence. The collaboration demonstrated through the development of the COE model mirrors that of another recent evolution: a strategic reorganization of the business units announced in March 2018. The new format consolidated direct-to-consumer services, technology and international media operations into a single, worldwide business, into which elements of media networks and studio entertainment also moved. Meanwhile, parks and resorts and consumer-products operations also combined. Shortly after announcing the reorganization, Iger attended a town hall Parker was hosting, answering questions from global HR employees. Change management is nothing new for a company that has undergone as many transitions as Disney. However, Bill Capodagli, management consultant and author of The Disney Way: Harnessing the Management Secrets of Disney in Your Company, observes there are certain core values that have always driven the organization’s work. That idea is evinced through a highly impactful employee benefit that launched last year. In August, the company announced the creation of Disney Aspire, a groundbreaking education-assistance program open to its 80,000 hourly workers. 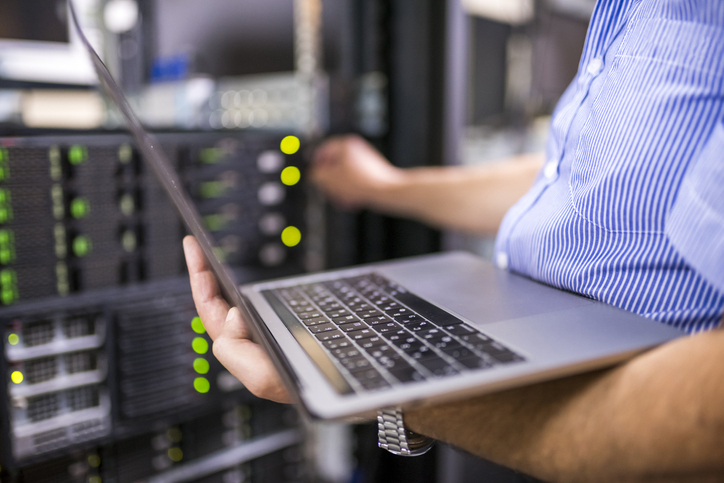 Employees can access a wide range of degrees and certifications—all cost-free. With a $150 million investment in the program’s first five years, Disney is paying all tuition upfront and reimbursing employees for books and other fees. The educational programs, offered at a vast network of schools in both online and in-class formats, do not need to relate to employees’ current work at Disney. Conceived by HR—and quickly approved by Iger, who proposed doubling its initial budget—Disney Aspire was developed with a long-range focus for employees, Parker says. “In reality, all of those 80,000 people are not always going to work for the Walt Disney Co., so we can have a higher purpose—equipping our employees to be successful and helping them create the futures they want,” she says. Disney partnered with Guild Education to design and operate the program. Guild CEO Rachel Carlson says, compared to some companies the organization works with, which may only have a handful of key job titles, Disney’s hundreds of positions posed a unique but exciting challenge, as they sought to create opportunities to suit a range of interests at all education levels. “That meant we had to work together as a team to think about the diverse needs of that broad employee base,” Carlson says. The depth and breadth of the employee population is among the reasons Disney Aspire is so comprehensive—employees can pursue college and post-grad degrees, GED, vocational training, English-language learning and more. To help students navigate the complexities of returning to school, Guild offers personalized coaching throughout the journey—from selecting a school and program to filing the application all the way through to degree completion. “We believe our coaching model is paramount to the success” of participants, Carlson says. In rolling out the program, Parker fielded many questions from employees who thought the initiative was too good to be true. Once those notions were dispelled, she says, she spent many an evening reviewing reports that contained firsthand reactions from workers about Disney Aspire, which she described as an emotional experience. “I’m so proud of the impact this is having—not necessarily the impact it will have on the company, but it’s the impact this will have on our employees’ lives,” Parker says. Since Disney Aspire launched, more than 23,000 eligible employees have created accounts, expressing interest in taking advantage of the program. The first employee to enroll recently completed a trade certification, and students have applied to and enrolled in the entire span of program offerings. On the college level, there has been strong participation in courses focused on organizational leadership, cybersecurity, business, communications and finance. Capodagli says he advises clients that they can’t attain Disney-caliber customer service—it consistently ranks at the top of global lists for corporate reputation—without employee satisfaction. And one of the best ways to achieve that is by providing ongoing learning opportunities. Education is also at the heart of another Disney initiative, CODE: Rosie—which stands for Creating Opportunities for Diverse Engineers and is a reference to World War II icon Rosie the Riveter. Launched in 2016, the program teaches women across the company how to code, with no tech background needed. Participants undergo three months of education and then a year of real-world experience. The company holds the participants’ jobs for them in case they want to return after completing the program, though most decide to funnel into coding jobs at Disney, Parker says. Twelve women participated in the pilot and 20 are enrolled in the second round, which kicked off in April. The focus on diversity embedded in CODE: Rosie will continue to be at the heart of Disney’s work in the coming years, Parker says. “In order for us be successful, we believe our employees have to reflect the audiences we’re here to serve, and our audiences are very diverse,” she says. To that end, Parker helped the company achieve gender equality in its global workforce and appointed the company’s first chief diversity officer in 2011. The HR centralization, she adds, also has helped the company focus on diversity in its hiring practices, as applicant data are more readily available across the company. Developing diverse leaders from within the ranks has also been a priority, with a range of mentorship and development programs targeting high-potentials for executive leadership. On the leadership front, the company is facing a significant shift as it prepares for the 2021 retirement of Iger, CEO since 2005. Though Parker didn’t share details of a timeline for identifying Iger’s successor, she cites the importance of the company’s leadership-development focus and its culture that encourages talent movement. Capodagli predicts a leader with a long-range focus similar to Iger’s would be critical to continuity. Another change coming down the pike is Disney’s acquisition of 21st Century Fox. The deal was inked last summer and received EU regulatory approval in the fall, at which time Iger said he was optimistic it will close before June 2019. It’s the largest acquisition yet for Disney, which already has a string of major acquisitions under its belt: Marvel, Lucasfilm and BAMTECH Media, among many others. Parker says such work requires a deep understanding of the business rationale for the acquisition, one that acknowledges it’s not just motivated by intellectual property. Steering the Disney workforce through to the other side of the acquisition will be among the tasks facing HR in the coming years. Navigating a rapidly shifting marketplace—for instance, Disney is gearing up for the launch of its own streaming service later this year—will also take center stage, Parker says. This article is written by Jen Colletta, and was originally published by HRExecutive.com, HRM Magazine Asia’s sister website in the US. Saudi Arabia's private sector sees an increase in the number of working Saudi women in the second quarter of 2018.